Happy New Year!!! The year of 2017 is new and it’s exciting to think about its possibilities. 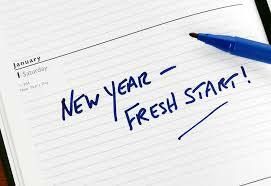 I think most people look to the New Year in these first few days as a clean slate, a way to start over or to start anew. Lots of warm, fuzzy, and powerful feelings come with the idea of starting anew. The advertisements are everywhere encouraging us to find the “new you” by loosing weight, eating less, saving more, getting organized, changing jobs or relationships, or finding a new hobby. 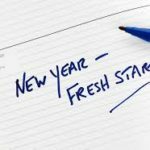 As exhilarating as that might be, the sad reality is the HOPE that we find at the prospect of the New Year fades quickly as the stresses of our day-to-day lives kick in. Statistics say that about 8% of folks that make a New Years resolution will successfully achieve it! Way to go you 8% – that’s awesome!!! The other 92% of us will try again next year until we fail again and again. Eventually we will stop making New Years resolutions because it is unrealistic that we will make it past the first few weeks….so what’s the point? Don’t get me wrong; I am not against New Years resolutions. For those of you making them, keep doing so!! I just think there is possibly another way to improve our lives and make us better and happier. For those of us that are married, our daily resolution should be to choose our spouse and our marriage every day; nurturing it and each other to keep our relationship alive and at the forefront of our minds and hearts. More important than a flat stomach, growing savings account, or personal improvement is the strength of our Christian marriage. Many of us tend to approach our marriage as a byproduct of our daily lives; we think our marriage will be good, bad, happy, fulfilling, stressful or lacking not based on the effort we put forth but by the cumulative outcome of what each day has in store. Unfortunately for our spouse that means they often get our “leftovers” at the end of each day. Who likes leftovers? Maybe you have a favorite dish that is awesome as leftovers or maybe grandma’s lasagna is better as leftovers but most leftovers are lumpy, soggy, cold, not very tasty, and usually not something we look forward to. So why do we think our spouse should be ecstatic with our “leftovers”? I don’t think we intentionally serve them “leftovers”. We might think a good marriage is meant to be and will thrive on its own or we expect our spouse and marriage to be great no matter what care we do or don’t give it daily. So when we find our marriage in the middle of a challenge or worse, in a pattern of marital crisis, we feel powerless to change it, hoping and praying fate will change and turn it around. Unfortunately the “fairy tale” idea we give to marriage is fiction; no marriage gets the luck or fate of being the “fairy tale”, at least not the way we think of it! But I have good news for you, your marriage is not fated to be good or bad, it is destined to be a challenge and a roller coaster ride but how much we enjoy that ride is 100% dependent on our attitude and our effort daily to infuse our marriage with love, faith, hope, and charity. Giving our spouse or marriage our “leftovers” is surely a recipe for difficulty but giving our spouse and marriage a place on our daily plate will make all the difference. Of course our main dish will most likely be our work or caring for our children but allowing our spouse or marriage to be a planned side dish instead of leftovers will transform your marriage in ways only God can imagine. Wow, I am getting kind of hungry? Aren’t you? My challenge to you is to make this New Years resolution a NEW daily resolution to elevate your marriage above the other short-term fleeting resolutions that you might be contemplating. I do believe that this NEW daily resolution will change your life in ways you cannot ever imagine. It’s my experience with my own marriage that gives me the confidence to say your marriage is important to Gods plan, to your future, to your children’s future, and to the future of everyone whose lives you touch. No matter the state of our marriage: Good, Great, Challenging, Crisis, or otherwise we will only be better and our marriage stronger when we choose to make our marriage more of a priority than we have previously. Good marriages will become Great marriages, Satisfactory marriages will become Good on their way to Great, Crisis marriages will become more stable on their way to Good and eventually Great!!! So how do we do this? How do you stop serving our spouse “leftovers” and start making a place for them on the plate? Suggested Prayer: Dear Lord, at the beginning of this New Year I desire to start anew; I desire to allow you to change my life in a way that builds a new me. Not a me that strives for material or temporary things but for Godly, forever things. Give me the strength to put aside my desires and replace them with only the desire to follow your will. Bless my marriage and my spouse; give us the wisdom to make each other a priority with you at the center. Today I promise to stop serving my spouse “leftovers”; help me to joyfully serve them daily with love, faith, hope, and charity. In your hands I place all of the daily stresses and distractions that might keep me from making my marriage the priority it should be. Bless my NEW daily resolution to choose my spouse and our marriage every day; nurturing it and each other to keep our relationship alive and at the forefront of my mind and heart. With your strength and grace! Amen! Happy New Year and Happy NEW daily resolution to you!!! 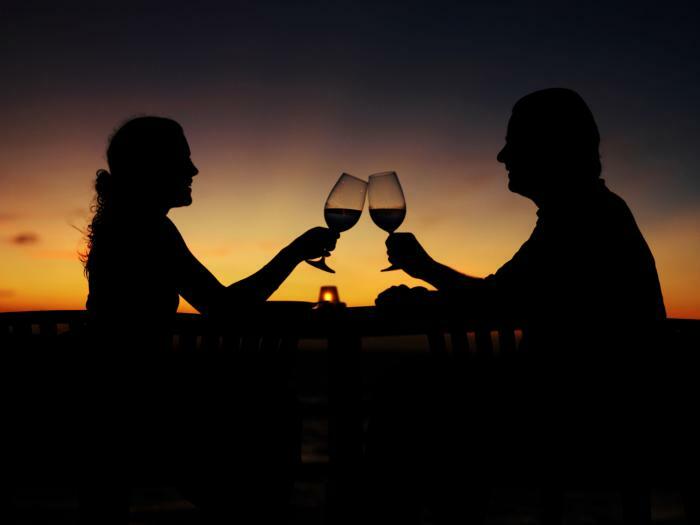 This entry was posted in Being A Servant Spouse and tagged catholic marriage help, family priorities, making my spouse a priority, new years resolutions, personal happiness, saying yes to God. Bookmark the permalink.